Eskom announced it will release the request for proposals for the new 9.6GW nuclear programme. The South African renewable industry has come out guns blazing over the government's "rushed" nuclear programme. According to media reports this week, power utility Eskom announced it will release the request for proposals (RFP) for the new 9.6GW nuclear programme. This is despite non-governmental organisations (NGOs) - the Southern African Faith Communities' Environment Institute and EarthLife Africa Johannesburg - looking to challenge the secrecy surrounding the nuclear deal procurement in the Western Cape High Court. Eskom spokesperson Khulu Phasiwe told ITWeb the parastatal's acting CEO, Matshela Koko, was speaking to reporters on the side-lines of a court hearing in which the two NGOs had brought a case against the Department of Energy about government's intention to build a new nuclear power station. He noted the court has dismissed the case brought by the NGOs. "As a result, Eskom will issue a request for information (RFI) this week for interested parties to express their interests." According to Phasiwe, it is important to note this is not a request for proposals (RFP). "That process [RFP] will follow later, sometime in the new year, after getting the necessary approvals of the National Treasury." 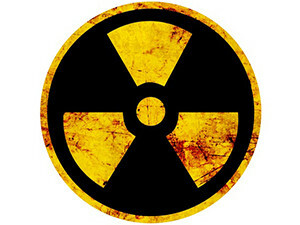 The South African Renewable Energy Council (SAREC), the umbrella body that represents the interests of the solar and wind industries, says it is hugely disappointed to hear the Department of Energy and the National Energy Regulator have seemingly rushed through a Section 34 determination for the procurement of 9 600MW of nuclear energy on the basis of the outdated Integrated Resource Plan (IRP), published in 2010. The Department of Energy published the updated Integrated Energy Plan and IRP last month. "We are further disheartened by Eskom's acting CEO's [Matshela Koko] simultaneous announcement that the utility will release a nuclear request for proposals as soon as the determination is gazetted," says Brenda Martin, chair of SAREC. "This is compounded by Eskom's ongoing refusal to sign power purchase agreements with 37 renewable independent power producers, some of whom had had preferred bidder status for as long as 20 months." The renewable energy body says the rushed timing of the ministerial determination is baffling, given that the Department of Energy has just commenced a public participation process to update the IRP. It explains the draft version of the department's plan seriously questions whether nuclear power has a role to play in SA's future generation mix, with - at best - a requirement for additional nuclear power in 2037. SAREC believes this "irrational behaviour fans the flames of suspicion as to the real motives behind the nuclear campaign". Facts, logic and basic financial prudence simply do not support this determination, it notes. "Sadly, it appears that Eskom and an increasingly compliant Department of Energy are playing to a different set of rules," Martin adds. SAREC believes SA's long-term energy choices must be based on rational and transparent planning. Energy policymakers must "walk this talk". Meanwhile, advocacy group Right2Know says the proposed nuclear deal has been shrouded in secrecy from the start. "Deals have already been struck with Russia and others, in secret and without public consultation, with the deal reportedly costing up to R1 trillion. Already we have seen shady tenders being awarded to friends of Zuma amounting to R171 million," says Right2Know.